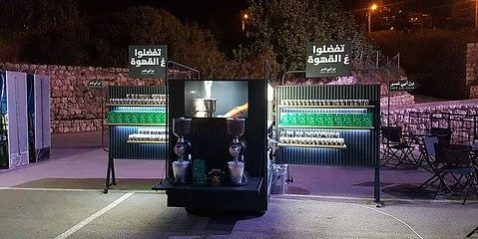 One of Lebanon’s leading coffee producers, Cafe Abi Nasr, was searching for a new and creative way to market their products during various events. To make sure that their participation grabbed the attention of all visitors, Cafe Abi Nasr turned to Ninety Degrees’ brandable solutions. To be exact, both Helix and Thunder were chosen to display Cafe Abi Nasr’s coffee at different events. The Tuk Tuks were chosen by Cafe Abi Nasr for their participation in Jounieh International Festival, Zouk International Festival, Byblos International Festival, Grand Factory “Habibi club event”, Happiness at Work Conference, and most recently at Winter in Wonderland. During which, Cafe Abi Nasr, successfully and continuously attracted visitors to their creative Tuk Tuk stand. Both Tuk Tuks offered the company everything needed from operational barista stations, display shelves, brandable areas, and a display for promotional videos.